Incredible place of discovery of linen created by Rosemilia. 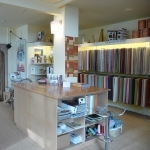 Wide choice of fabrics, furnishings and collections of fabrics of all kinds. Sale per meter. Curtains, pamshades, seat refurbishment and cushioning. Articles of haberdashery. Unusual gifts. Partner of Mayenne Fabrics, Noble House offers a wide range of fabrics for furniture, paintings, wallpaper and assorted carpets. We carry your favourite dimensions of curtains, nets, blinds and all upholstery work. 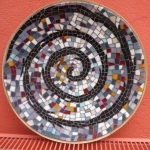 Pottery studio, classes and workshops available. 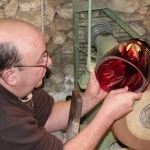 Production of commercial pieces, deco objects, jewelry. Gres porcelain. Since 1864 the JORELLE’s House is specialized in custom carpentry and the manufacture of traditional wooden games that belong to the french cultural heritage. The games of frog and croquet make the little ones happy and great that play with family. 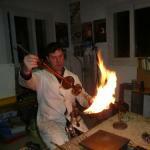 Demonstration of glass blowing by hand in the workshop. 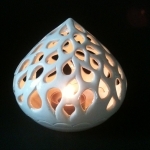 Glasses, vases ornaments, sculptures, table-services, creations, ideas for presents, jewellery, calligraphy and accessories on sale. Blown glass for lace makers, personal objects and glass for laboratories. 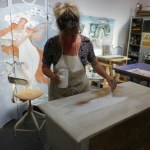 Decorative painter Dominique, metamorphoses your furniture and personalizes your interior : patinas, false marbles, trompe l’oeil… She transmits her knowledges (old techniques) through courses and training. Restoration of objects, furniture painted. 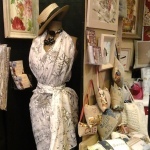 Exhibition and sale. Lesson every Friday from 10am to 1pm and from 2pm to 5pm, and 1 Saturday per month.